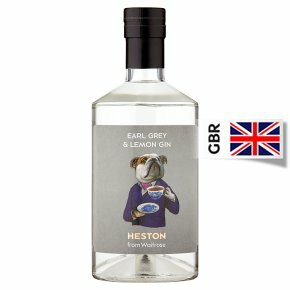 Distilled with traditional botanicals, plus Earl Grey tea and lemon peel, this is wonderfully aromatic on the nose, with notes of bergamot balanced by subtle citrus and juniper. The palate has a lovely texture, with earthy tea notes coming through and finishing with a twist of black pepper and floral lavender. Dry British Gin distilled with all of the traditional botanicals including juniper, citrus peel, almond, coriander, orrice root, liquorice and angelica.